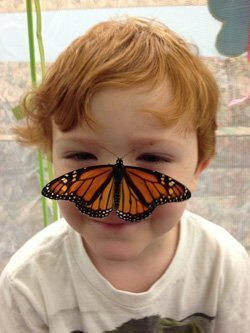 The story of the Monarch butterfly…an annual journey that spans a continent, three nations, and multiple generations of Monarchs…captures the hearts and minds of people of all ages. In the fall the Monarchs east of the Rockies begin the long migration to Mexico for the winter. As the spring comes to the U.S., the butterflies start their journey north following the milkweed growth. Monarch butterflies are completely dependent on milkweed. It is the only place they lay eggs and their entire diet. Eggs are laid in the warmer southern climates. These butterflies emerge and continue their parents’ journey north. They arrive here in New Jersey in the mid to late spring when the milkweed is matured.